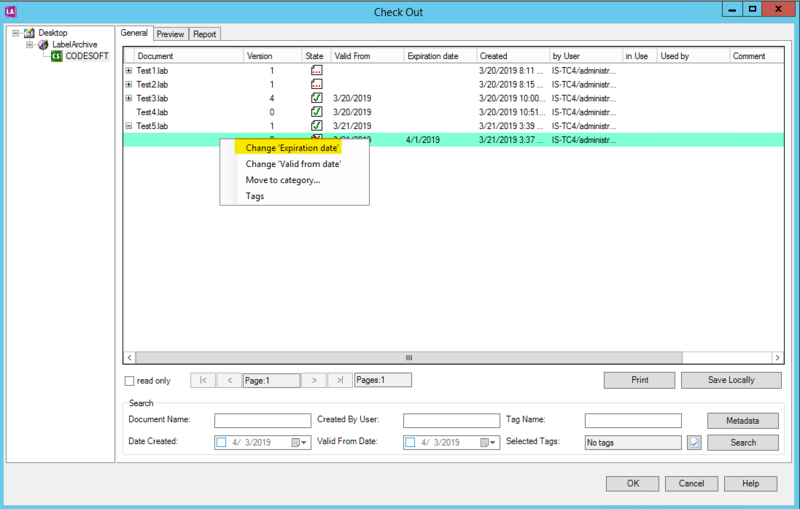 This Instruction Article explains how to deactivate a label file in LABEL ARCHIVE / TEKLYNX CENTRAL. Sometimes you may want to make sure that the old label cannot be printed by accident. 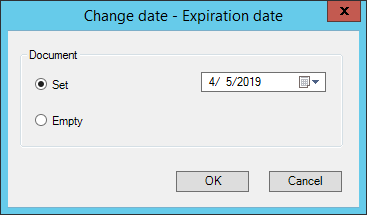 By setting an expiration date for the label, you can force them to expire. It is likely that the desired document is not in the top 200 documents. 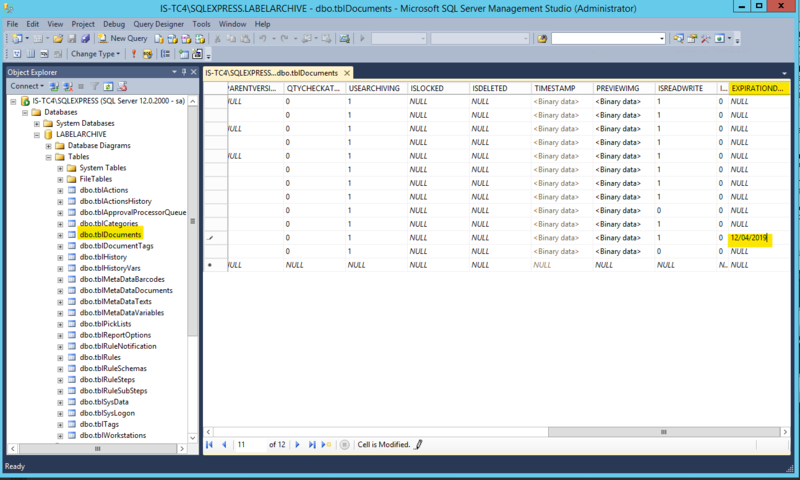 In that situation, select the SQL button on the toolbar to modify the SQL select statement to locate the document you want. (State = 4, DOCNAME = <Label Filename>). Note: State=4 refers to approved document. 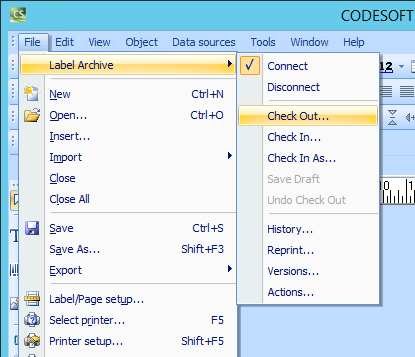 Once the document is located, enter the desired expiration date on the EXPIRATIONDATE column and press enter. 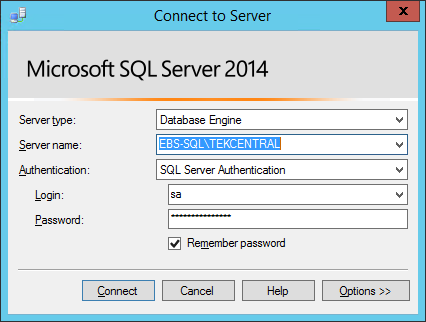 The date can be entered in MM/DD/YYYY format.